250ml organic, vegan friendly Clearspring Pumpkin Seed Oil. The Clearspring Organic Pumpkin Seed Oil 250ML product ethics are indicated below. To learn more about these product ethics and to see related products, follow the links below. 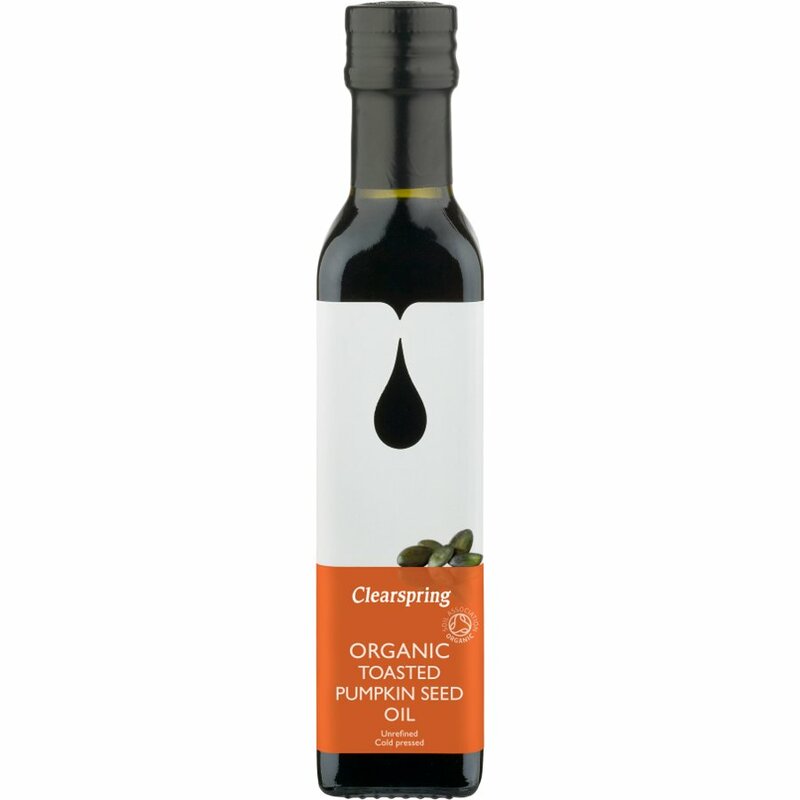 There are currently no questions to display about Clearspring Organic Pumpkin Seed Oil 250ML. Clearspring produce delicious authentic and organic Japanese and European food in the UK and have done since the 1980s. Seeking to promote good health and wellbeing, Clearspring provides stable economic conditions for its producer communities, and ensures all their foods are free from MSG's, artificial colourings, preservatives or added sugar. All ingredients are certified by the Vegan Society, free from animal and dairy produce. Clearspring have also been officially recognised as an Affiliate Member of IFOAM (the International Federation of Organic Agriculture Movements), which encourages healthy and wholesome cooking at home, that doesn't impact heavily on the environment.